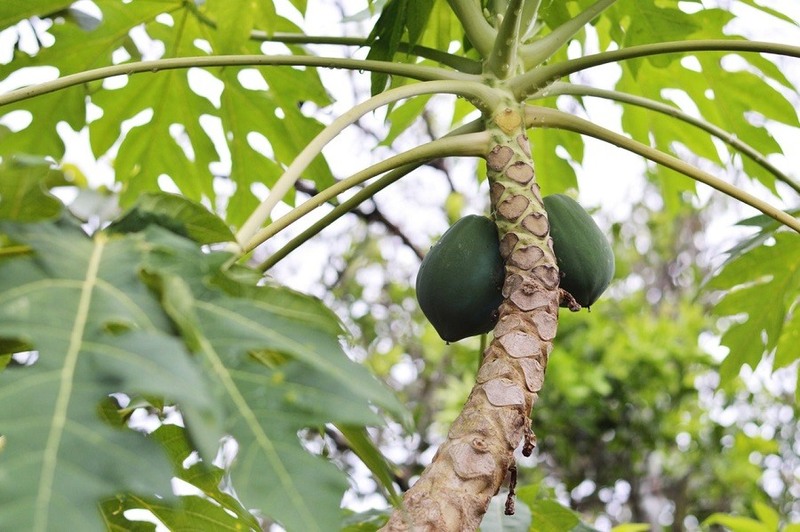 Papayas, papawas, or pawpawas, are tropical fruits that grow in a warm climate, especially in India that produces the most papayas in the world. This juicy, colorful fruit grows naturally in Mexico, the Carribean, and Florida. Not only papayas are delicious, but they also have many benefits for our health, including bones, eyes, lungs, gut, skin, etc. This fruit is rich in vitamin C, fibers, vitamin A, magnesium, folate, and potassium. Papaya is high in vitamin K which improves calcium absorption. It also reduces the risk of bone fracture and helps bone rebuilding. Papaya can be mashed and applied to the burned area of the skin to prevent infection and promote healing. Medications and creams that contain the papain enzyme are used in ulcer treatment. Papayas are rich in beta-carotene which is a strong antioxidant. It is shown that regular consummation of beta-carotene reduces the risk of prostate cancer. Papaya also contains phytonutrients and flavonoids which prevent free radicals from damaging cells. People who consume low levels of beta-carotene are at higher risk of developing asthma. As we already mentioned, papaya is a great source of this nutrient. Papaya is rich in fibers that reduce glucose, lipids and insulin levels in people with diabetes. Another antioxidant that can be found in papaya is Zeaxanthin that protects our eyes from harmful light rays. Also, a higher intake of papaya has shown to reduce the risk of age-related macular degeneration. One papaya contains even more than your daily dose of vitamin C which is a great immune system booster. Papaya is rich in vitamin C, antioxidants, and fibers that prevent blood from clotting, lower bad cholesterol preventing it from building up in the walls of blood vessels. This consequently reduces the risk of high blood pressure, heart attack, and stroke. 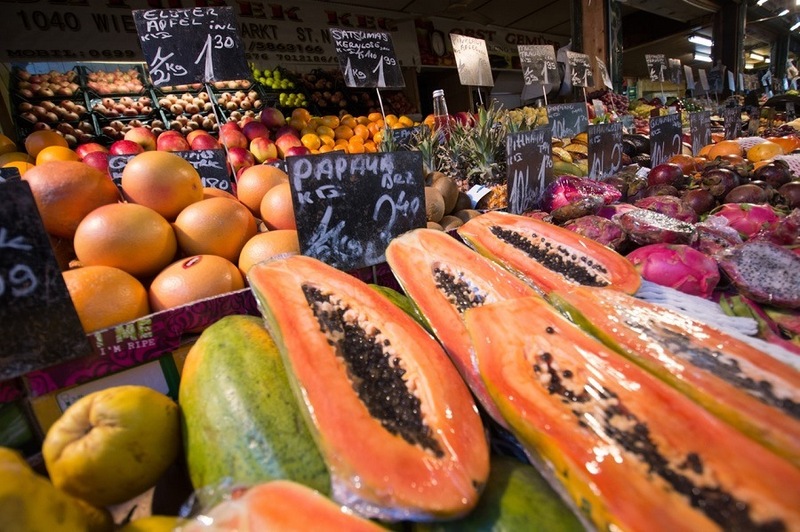 The best way to eat papaya is fresh, alone, or in a fruit salad. Cut it like a melon, remove the seeds and eat it with a spoon. You can make delicious salsa sauce for shrimps or scallops by mixing fresh papaya, ginger, jalapeno peppers, and cilantro. For this recipe, you will need 1 cup of yogurt, 1/4 cup of walnuts, ¼ cup of raisins, 1 cup of chopped strawberries, 2 papayas cut in half, 2 tablespoons of honey. Remove the seeds from papayas. Mix all the ingredients in a bowl and fill the papaya. Given that the number of calories per serving is 190, papaya boats are the perfect summer snack. This recipe requires 2 tablespoons of olive oil, 1 tablespoon of minced fresh garlic, 1 tablespoon of chopped onion, 1/2 red bell pepper, 1 cup of diced papaya, habanero pepper seeded and chopped, 1 teaspoon of cornstarch, 1 tablespoon of water, 2 tablespoons of lime juice, 1 tablespoon of melted butter, 3 mahi-mahi fillets, 3 tablespoons of sliced almonds, and finally 1 pinch of salt. Cook the onion and garlic until they begin to soften. Add the red bell pepper, papaya, and habanero pepper. Cook a few more minutes until bell pepper begins to soften. Stir together the cornstarch, water, and 2 tablespoons of lime juice. Merge the ingredients and cook until thickened, stirring constantly. Stir 1 tablespoon of lime juice together with the melted butter, and put fillets onto a broiler pan. Cook under the preheated broiler for 4 minutes on both sides. Put the almonds over the fish and return to the broiler and cook for about 2 more minutes.